The Cumberland Healthcare Surgical Department is dedicated to making your surgical experience a comfortable and personal experience. Our highly trained staff provide care and service 24-hours a day, seven days a week, for both inpatient and outpatient surgical services. We are continually adding new specialists and new technology to bring you the highest level of care available. We follow standards for best practices that are established nationally for surgery, anesthesia and sterilization of equipment. 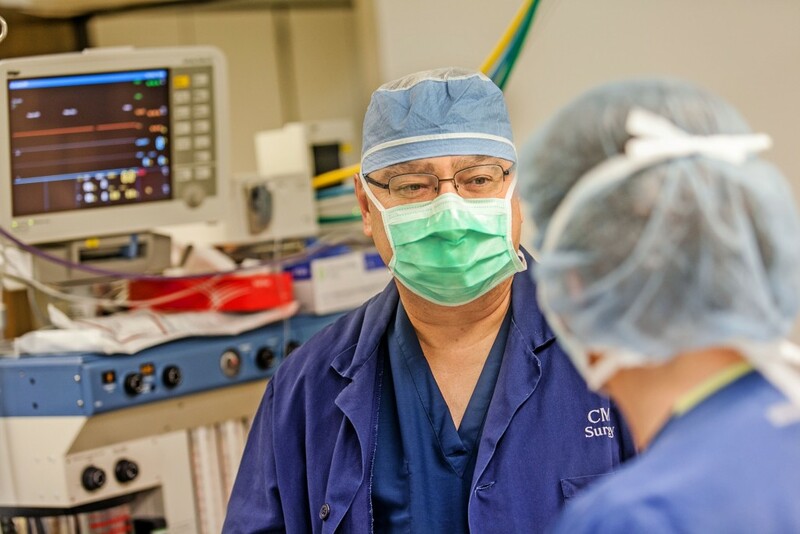 Anesthesia – The Anesthesia Department at Cumberland Healthcare is staffed with two Board Certified Registered Nurse Anesthetists (CRNAs), Stefanie Rinehardt, CRNA, and Donald Fullerton, CRNA. The department provides anesthesia care 24 hours a day, 365 days a year for scheduled and emergency procedures. Inpatient/Outpatient Surgery – The majority of our patients are able to use our 3-bay Same Day Surgery unit. With the use of new technology, many of our surgical patients can go home within a few hours instead of several days. Some of our surgical patients are an overnight stay/inpatient. Preoperative Surgical Plan – Once your surgery is scheduled you will need a physical, lab work, and EKG depending on what you are having done. Please consult your provider regarding any medications you are on and any vitamins, herbs, or over the counter drugs, you may be taking. You may need to stop taking some of your medications several days to several weeks before your surgery. You will be called the day before your surgery by a staff member to confirm your surgery and time of arrival. The night before your surgery you may eat a light supper. Do not eat, drink, smoke or chew after midnight, unless otherwise instructed. There may be some medication you will be instructed to take the morning of your surgery with a small sip of water. If for some reason you are unable to keep your surgical appointment, please contact your doctor and the hospital surgical department as soon as possible. If you develop a cold, sore throat, fever or other illness, contact your doctor as soon as possible. Plan to arrive at Cumberland Healthcare as directed, which will be 1-2 hours prior to surgery. Upon arrival, register at the hospital front desk just inside the main entrance. After registration, you will be escorted to the Same Day Surgery waiting area. Shower the evening before and the morning of your surgery with antibacterial soap before coming to the hospital. Do not apply powders or creams to your surgical site area. You may not wear contact lenses during surgery so plan on wearing glasses as needed. Do not wear make-up, nail polish or jewelry. Remember “nothing to eat, drink, smoke or chew after midnight” unless instructed otherwise by your doctor, this includes water. You may brush your teeth – but don’t swallow any water. Please bring a list of your prescriptions and over-the-counter medication. Be sure to have someone available to drive you home, you will not be allowed to drive home. If you smoke – stop smoking as many weeks or days before surgery that you can. Do not smoke at least 24 hours before and 24 hours after surgery. Cumberland Healthcare is a smoke-free facility. Please inform your nurse if you have any skin irritation, ingrown hairs or any other skin irritation in the area of your planned surgical site. You will be escorted to the recovery room. The length of time is dependent upon the type of anesthesia used. If your surgery is inpatient – your family may go back to your hospital room after talking to the surgeon. If your surgery is outpatient – your family may come to sit with you when you return to the Same Day Unit. While in Same Day Surgery you will have your blood pressure taken, and your dressings will be checked. If you are feeling any discomfort your surgeon will have medication ordered to relieve the discomfort. You will be given water, coffee, juice, and a muffin if you desire. Any follow up appointments will be made if necessary. Your postoperative prescriptions will be called to the pharmacy of your choice, or paper prescription will be given to patient directly to have filled. You will not be allowed to drive home so be sure you have a ride available. A nurse will call you the day after surgery to see how you are feeling, and to answer any questions you may have. Call the hospital if you have questions or concerns that you feel need to be addressed immediately. To contact the Cumberland Healthcare Surgery Department, call 715-822-7370.